We are excited to announce the latest publication in ASI’s Human-Animal Studies Book Series, published by Brill, is now available! Animals and Their People: Connecting East and West in Cultural Animal Studies, edited by Anna Barcz and Dorota Łagodzka, provides a zoocentric insight into philosophical, artistic, and literary problems in Western, Anglo-American, and Central-Eastern European context. The contributors go beyond treating humans as the sole object of research and comprehension, and focus primarily on non-human animals. This book results from intellectual exchange between Polish and foreign researchers and highlights cultural perspective as an exciting language of animal representation. 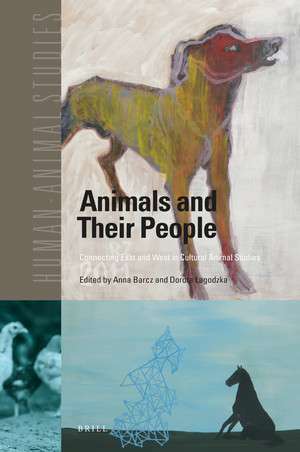 Animals and Their People aims to bridge the gap between Anglo-American and Central European human-animal studies. Bodily Encounters with the Animal: the Dog and His/Her Human—Who Are They? To purchase Animals and their People, click here.